In your opinion, how well do you know political health care regulations? This statistic shows the results of a survey conducted in the United States in February 2017. 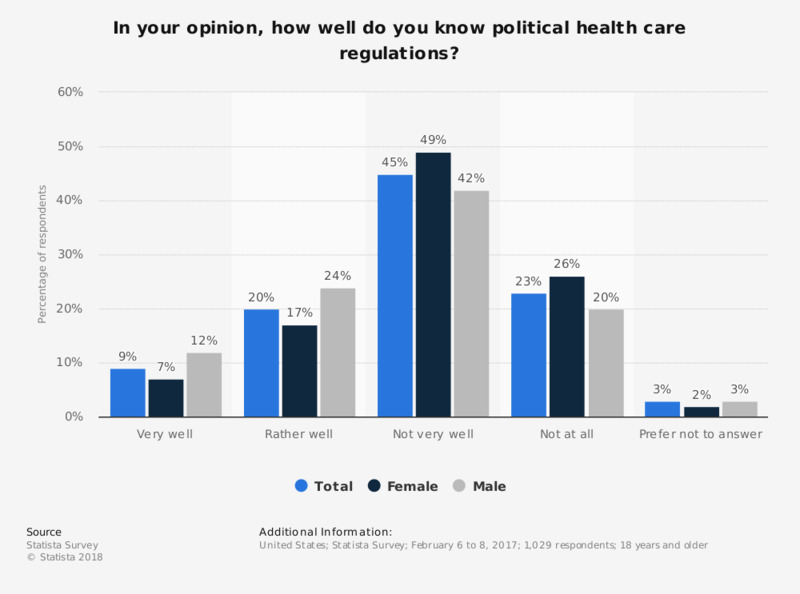 U.S. adults were asked how well they know political health care regulations. In total, only nine percent of respondents stated that they know these regulations very well. Statistics on "Supplemental health insurance in Italy"
How much does private healthcare spending affect your household budgeting? Do you approve or disapprove of the way Donald Trump is handling health care issues?